Health and vegetables go together, and but we need some inspiration to include it in our daily diet without being bored. There are many ways to use them, one of the healthy yet delicious way to consume it is in a steam salad. The steam not only retains the goodness of the vegetables but the fragrance will also make your kitchen a heaven for hungry soul. In a steamer heat the waters, now put the all the ingredients in it except for the spinach, tomato and oil. Pour a tsp of oil and mix. Now steam it for 15 mins, till the broccoli becomes soft. Now remove the steamer from heat and immediately transfer the spinach, cherry tomatoes and the steamed veggies to a container (preferably airtight container). Put the lid on it and shake. Once done, keep it for another 10 mins. Pour the olive oil and serve as a side to munch on as you prepare the dishes. You can also use it in pastas and fried rice. Just dice/grind the steam veggies the way you want with the particular dishes. 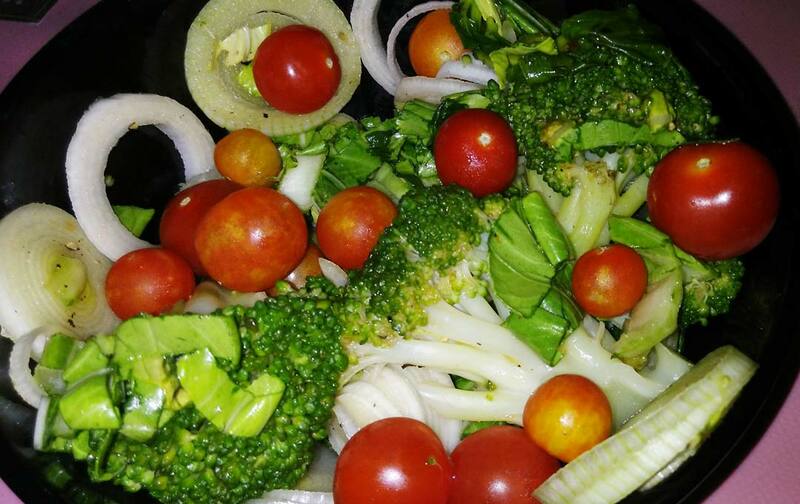 Share the post "Steamed Broccoli Salad"